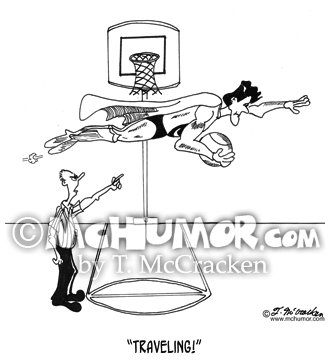 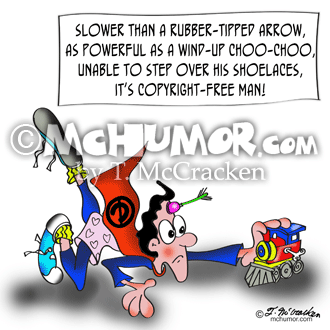 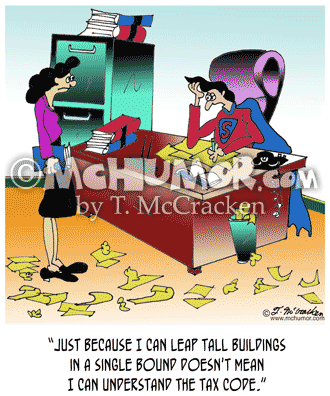 Tax Cartoon 7078: Superman fumbling with forms saying, "Just because I can leap tall buildings in a single bound doesn't mean I can understand the tax code." 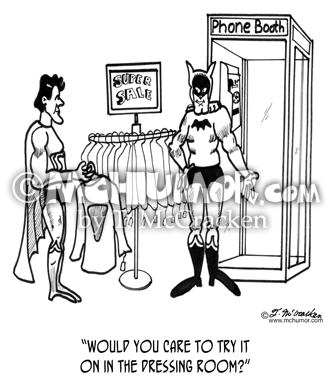 Fashion Cartoon 2733: At the Super Hero Clothing Store Batman handing Superman a cap and pointing at a phone booth asks, "Would you care to try it on in the dressing room?" 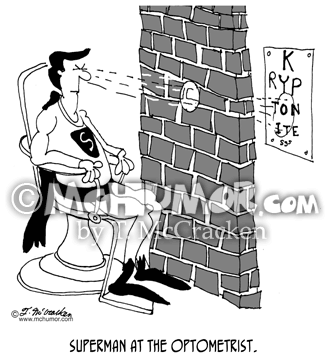 Eye Cartoon 7273: "Superman at the optometrist." 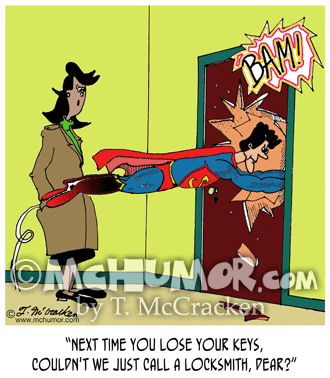 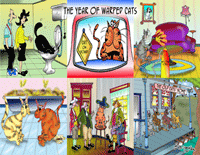 The eye chart is on the other side of a brick wall that he looks through with his x-ray vision. 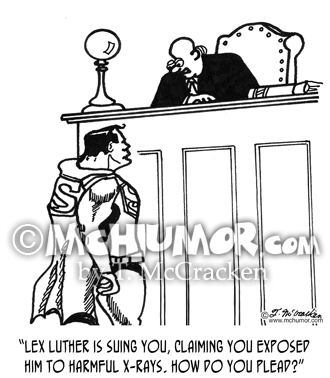 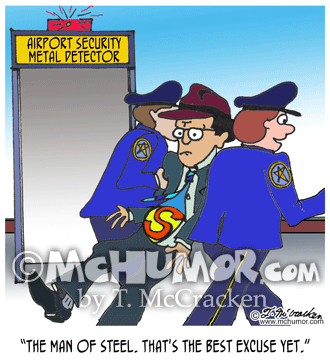 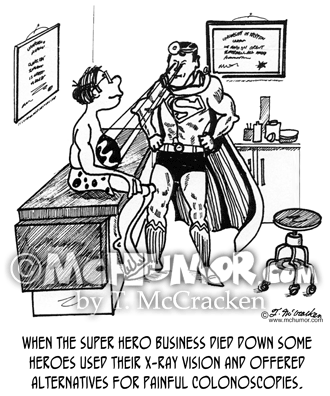 Medical Cartoon 1995: “When the super hero business died down Superman, used his X-ray vision and offered an alternative for painful colonoscopies." 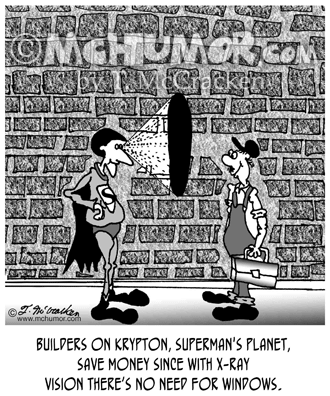 Window Cartoon 6476: "Builders on Krypton, Superman's planet, save money since with X-ray vision there's no need for windows."